Social network websites are designed to allow people to stay in touch, whether they are best friends, family, work colleagues or classmates. Millions of people all around the world use these sites, but be warned – social network websites can prove highly addictive. Take for example Facebook, the largest social network website and one of the biggest websites in the world. 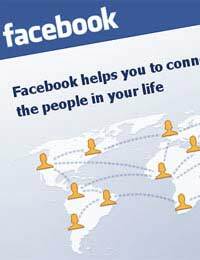 It has more than 500 million active users and half of them log on to Facebook on any given day. People spend over 700 billion minutes per month on the site. It is easy to join the social network throng. The first step is to open an account, which can be done by anyone with an email address. Then create a profile so that you can share what’s going on in your life with friends. By giving some basic information about yourself, including details about your education and work, it is far easier for former and present classmates and co-workers to find you when they search the site. Including a photograph in a profile will make it easier for friends to identify you. With so many users on social network websites, it is unlikely your name will be unique to the site. Adding a photograph can avoid a lot of confusion. Remember that any aspect of your profile, including the photograph, can be changed or updated at any time. Also, it is not necessary to share all the information on your profile with all the website’s users. Privacy settings will allow you to share certain information with just friends or family. Once your profile is complete, you can start to look for friends. Searching for former classmates is an easy way to find friends you may have lost touch with. You can search by either high school or university and narrow the search by choosing a class year. Finding work colleagues is just as easy. Simply search for a company name and, if you want to narrow the search, the name of the colleague or former colleague you want to get in touch with. Of course, you can simply search for someone by entering their name alone into the search engine, but this search may return a lot of results to wade through, especially if it is a common name. If you are still struggling to find people, there is another option. The social network website can examine email addresses in your address book and try to match them to those of people who have already joined the site. If there are people in your address book who have not yet joined the site, you can invite them to do so. Once you have a group of online friends, the social network website allows you to share all sorts of information. Friends can send you interesting website links, photographs, thoughts and news of what is happening in their everyday lives. Just as much fun is letting others know how you are feeling, what you’re watching on television, what you’re reading or anything you like.